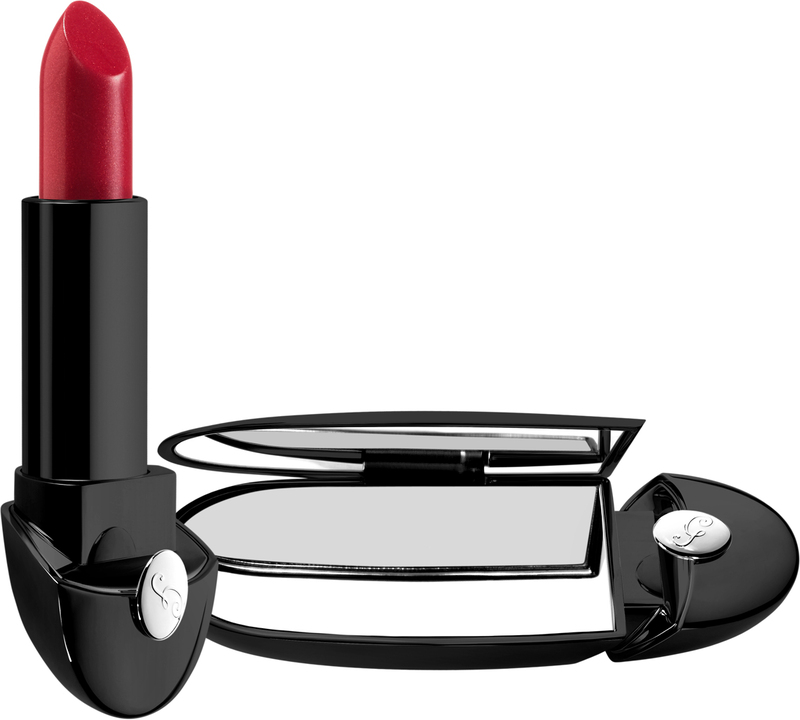 MAC is hitting it hard with new collections right after holidays and for the New Year. It seems though that there are always stand outs within each collection. With Mickey Contractor, I think it's the Fluidlines. The rest of the line is nice but nothing too out of the ordinary. The Fluidlines on the other hand, rock. ( Although the new shadows are pretty nice here as well. ) I am a huge Fluidline fan and we haven't seen as many new ones for some time except the very pretty Dark Diversion from Stylishly Yours. These new Fluidlines are the emerald green Ivy and the medium blue Siahi. MAC calls Siahi deep turquoise blue. I think it's very much a medium sapphire/deep teal . I love the greens so Ivy has me in it's thrall. It's super emerald and kind of 80s . It looks great on. If you like blues then you'll love Siahi. Both are very wearable I think, if you love color. The Mickey Contractor collection , inspired by Bollywood makeup artist pioneer and MAC's Director of Artistry for India is on counter January 6 in US, January International. Both Fluidline shades are LE. It's time for the best of the year , a look back at my top favorites. It's not always easy to slim the list down as I like so many products. But these that follow were the tops, or at least the ones that came immediately to mind. Most were reviewed here before so a link is there if you wish to read the original post. Please share your "best of" for the year in the comments. I'd love to know what's on everyones list. Dior J'Adore L'Or- Full review coming soon on this as I only tried it at Christmastime. An updating of the original J'Adore with a focus on purer , high grade essences and rose absolute and jasmine from Dior's own fields, this powerhouse white floral is beyond beautiful. So well done, and a bit more of an oil than as it's an essence of perfume rather than a straight EDP. 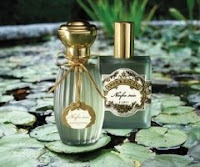 Annick Goutal Ninfeo Mio- Another hit from the great house. Love at first sniff and few others came close to it all year. It's not like anything else out there and for Spring and Summer weather, so beautiful, fresh and green. 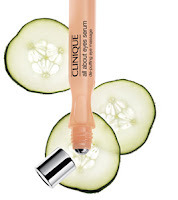 Clinique Acne Solutions Liquid Makeup - Kept my skin in check all summer, the hottest on record here. Not as matte as I usually use but it worked so well at keeping acne down and helped oilies as well, while also providing great coverage and good looking skin. Clinique All About Eyes Serum De-Puffing Eye Massage- A genius idea. Cools, soothes , brightens and de-puffs all at once. Not it is not quite a miracle worker, you don't suddenly lose all puffiness etc., but it does make a difference and feels so good on. Anytime your eyes are tired or irritated , reach for this. Dior Rouge Dior Haute Couleur Lipsticks- There were a lot of fabulous new lipsticks this fall, one from most major brands. I liked or loved most , but the best to me was the new Dior. 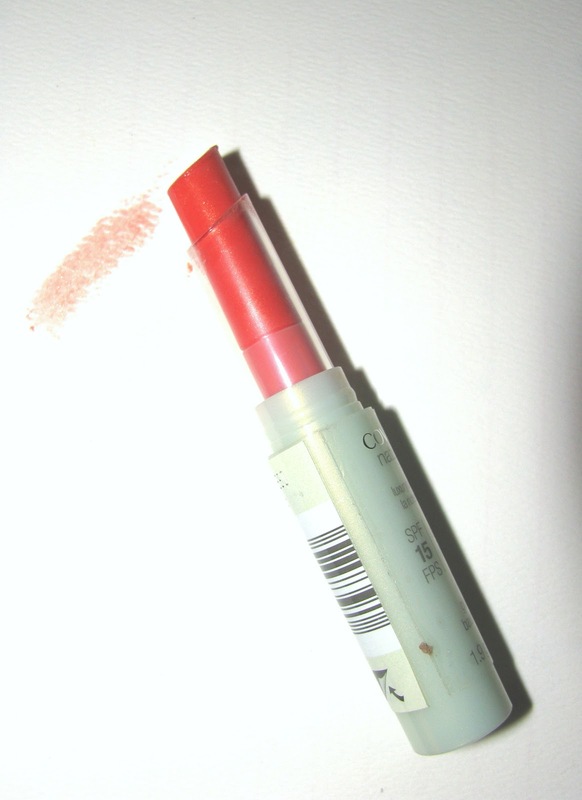 It feels like air on your lips but packs pigment and moisture and simply looks like lipstick should. Ellis Faas Makeup - Everything in this new this year line but especially the Eye Lights metallic eye shadows. With innovative colorways and packaging, this became a huge favorite. Origins Zero Oil Cleanser- Most amazing oily skin cleanser ever. Yes ,really. Did wonders for my skin in the super hot summer heat. Kept using all fall and into winter even. Not harsh but cleanses well and helps bat down that pesky over oiliness. Zero Oil indeed. Maybe not all of it, but enough. Chanel Les Khakis nail polish- The polish everyone at Fashion Week in Sept. 2010 was either talking about, wanting or wearing. I got more compliments on my Khaki Vert toes than I ever expected. I also didn't expect the polish to look so good, but somehow it was perfect. The two other shades didn't move me as much but I still like them. Paul Mitchell Awapuhi Wild Ginger - This new line grabbed a lot of reader attention and deservedly so . Deeply repairing for damaged and very dry hair, it's that good. MAC Venomous Villains- One of the most hotly anticipated collections of the year . This was simply fun but also had some great colors. I know people who wanted it simply because it was Disney, but most of us I think wanted it because it was Disney and MAC. The decals/logos were well done and I love having at least one lippie sitting out where I can see it. 1. Clarins Extra Firming Foundation- they do know foundation as well as skincare there . 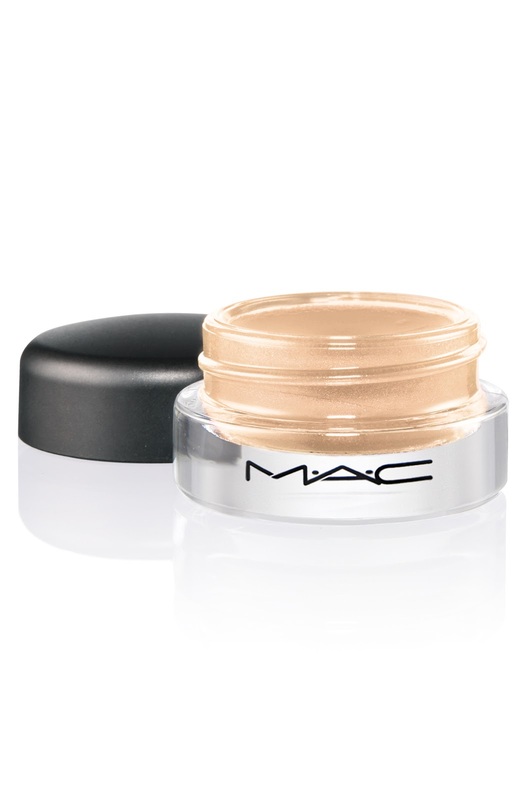 Super coverage, firming, radiance. Hits all the marks. 2. Atelier Perfumes- a new, niche line of old style cologne scents modernized and better. 3. Maybelline Age Rewind The Eraser Foundation - A drugstore foundation that truly competes with the high end lines. One of the fun gifts this year was the Bobbi Brown Mini Brights Palette. Loved this when I first saw an image months ago and it was slated only for international. Then it came to US on the offical website only. I wasn't expecting to get my very own and am happy I did. 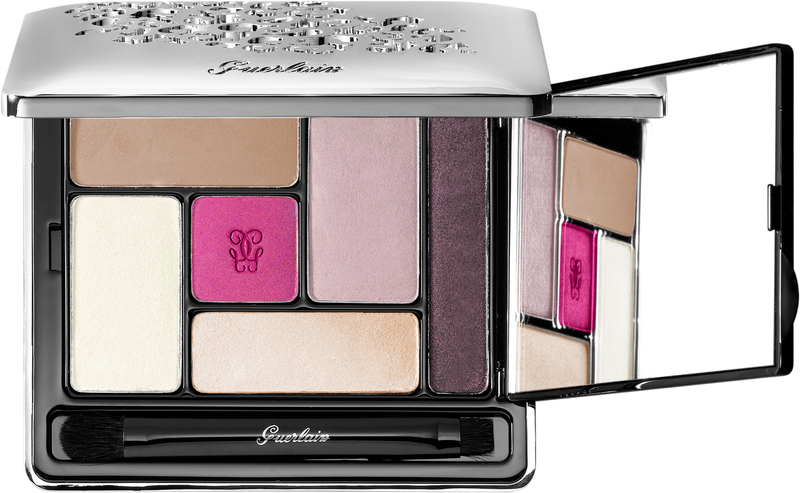 The palette has the tiny "dots" of color of the original Brights palette but most of these are frost or shimmers which I like even better. It's a smallish palette ,so this is perfect not only for every day use but for travel or stashing in your bag. 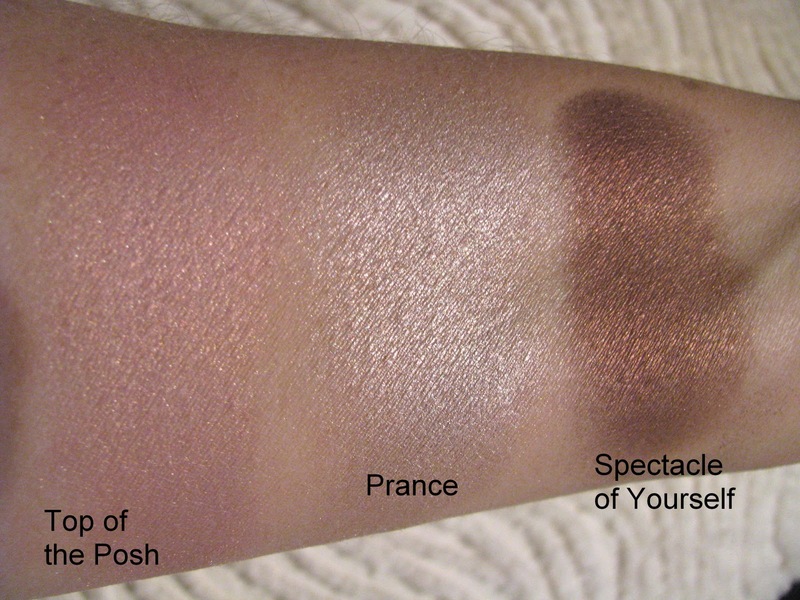 Every color you could need is basically here , and to go from soft daytime look to smoky evening eye is a cinch. Size if you are wondering, is approx. 4 1/4 inches x 2 inches closed. Wishing all of you a very Merry Christmas . Hope you enjoy the holiday weekend and I will be back posting next week. 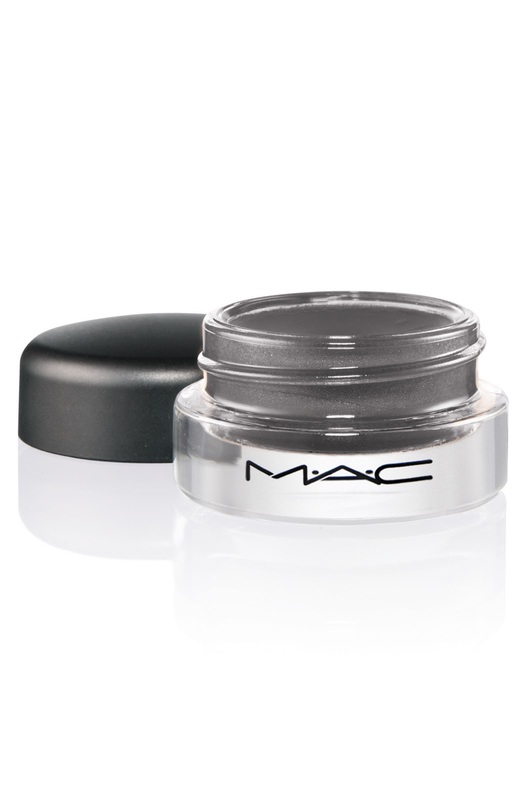 With Champale , MAC brings new Paint Pots out. Here's a look at one of them - Let Me Pop. 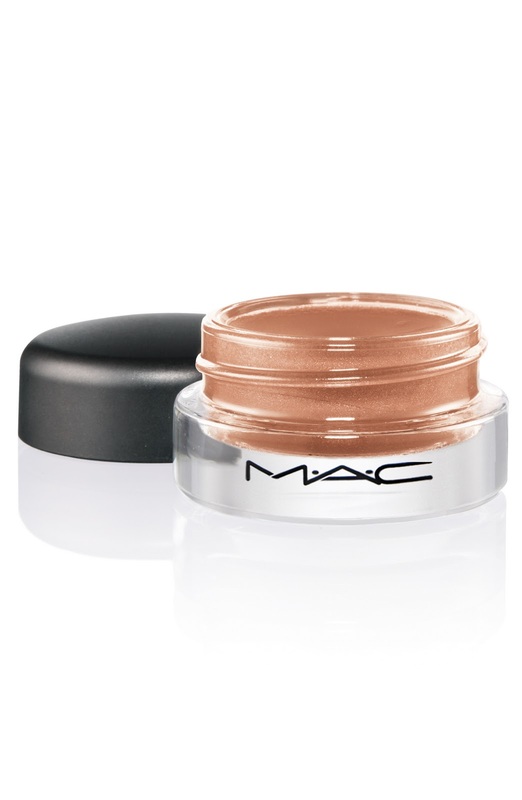 This is a light bronze shade that is not too pigmented but gives a pretty wash across lids. It's a real brightener. 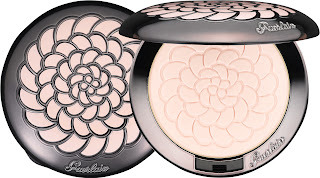 Chanel Poudre Universelle Compacte Natural Finish Pressed Powder in Rose Merveille has become my winter bronzer subsitute. I'm too pale for bronzer but want a little color to brighten up( I don't like being pale). The color in the pan is defintely peach-beige but don't be scared, it just warms up skin. I am pale, although not pasty, and I get just a hint of color from this. There is shimmer in there but it's not allover heavy. I could see a few sparkles here and there but nothing overdone. 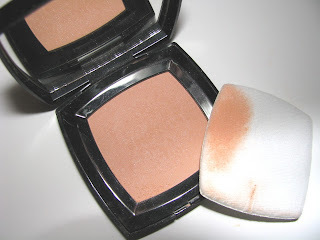 It helps of course that the powder itself is so soft ,smooth and perfecting on your face. It's been a long time since I used a Chanel pressed powder and I had forgotten how nice they are. It's a bit like a soft focus filter. Part of the Spring Les Perles Des Chanel collection on counter in January at $ 44.00 and LE. NatureLuxe is new entry from Cover Girl with a foundation and Gloss Balm. Being a total tinted lip balm collector/fanatic, I was awaiting the Gloss Balm . I have the shade Coral , which a sheer orange/coral. Because these are a balm, they are lightly pigmented, but I am happy to say, pigmented enough to see the color. I have a nice corally shine to my lips with this and can use it alone . It has shine but not quite that of a gloss. A bit more subdued . It's also very emollient . The moisture has been surprisingly long lasting, more than some of my regular balms. That moisture comes from mango, shea and other natural butters according to Cover Girl. It's also SPF 15. 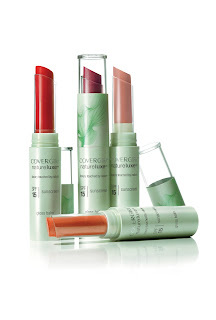 With NatureLuxe Cover Girl is trying to use less synthetics and add in more natural ingredients. Gloss Balm hits stores in January and will have 16 shades, all designed by makeup uber guru Pat McGrath. I'm thinking I'm going to need far more than one shade . How about you ? Retail will be $ 6.49 approx. 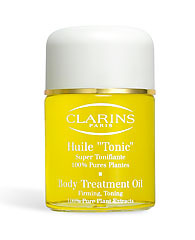 Highlighted in Clarins fall/winter launch is Body Treatment Oil in "Tonic". 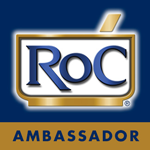 Tonic is meant to be, as well as super moisturizing, refreshing and to help boost skin elasticity. With essential Oils of Rosemary, Geranium, Peppermint and Rosewood along with Hazelnut oil this is a moisture powerhouse. It's straight up oils which sink in super fast but leave behind softer skin with a pleasant herbal scent. After a few minutes at most you have no residue, no oily feeling. It's not a "dry oil" but dries quickly. It's fab for this cold weather most of us have been having. The bottle is glass- so be careful with oily hands, and is a large size at 3.4 oz. Enough to last all winter. Clarins also recommends this as very good for treating stretch marks. Available now at all Clarins counters and online at $ 52.00. Because it's cause dear to my heart, as an aside, The ASPCA does so much to help animals in need , as do local shelters. If you want to help, there are many ways. I know my local shelter is always looking for not simply monetary donations but pet food, old towels, hand sanitizer, baby wipes and so much more. Call your or hit their website and you might just find you have these items they need so much lying around. Also, if you are looking for a pet , please do look at your shelter or at a breed rescue. Most every breed of dog has a rescue in each state or close by . Shelters/rescues are not simply mixed breeds, not that there is anything wrong with that but as a former volunteer, I heard many times, well I want a purebred ______ and I don't think a shelter will have it. I have a beautiful, papered German Shepherd , who was a rescue. I have seen Borzois to St. Bernards at my local shelter. 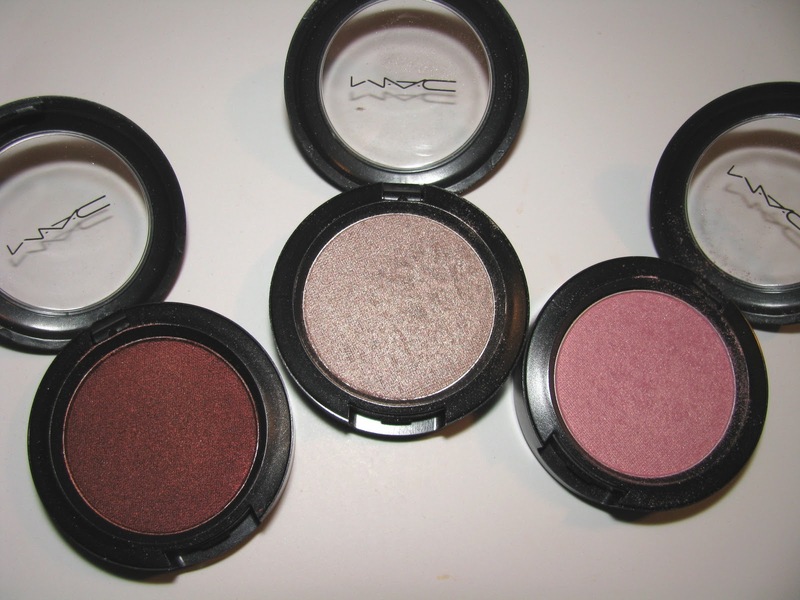 Mega Metal Shadow is a new eyeshadow from MAC featured in the Peacocky collection hitting January 6. 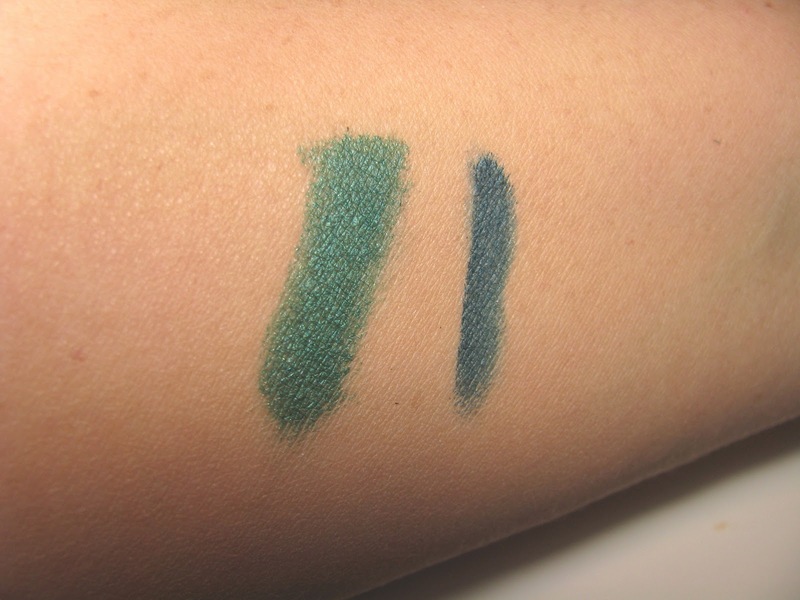 These are super frosty, deeply pigmented and blend well. The formula is creamy feeling. Being a metallic lover as well as sparkle, I am loving these. 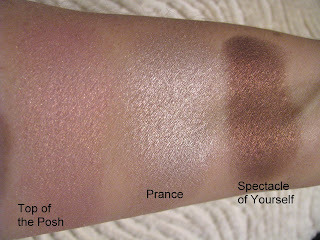 Gold tinged taupe Prance is my favorite of the 3 I have tried. 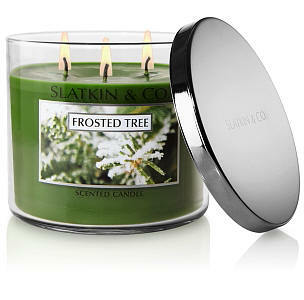 I've raved about candles from Slatkin before. Not only do they do their own namesake line for Bath and Body Works but also the fabulous NEST and Project Art brands. 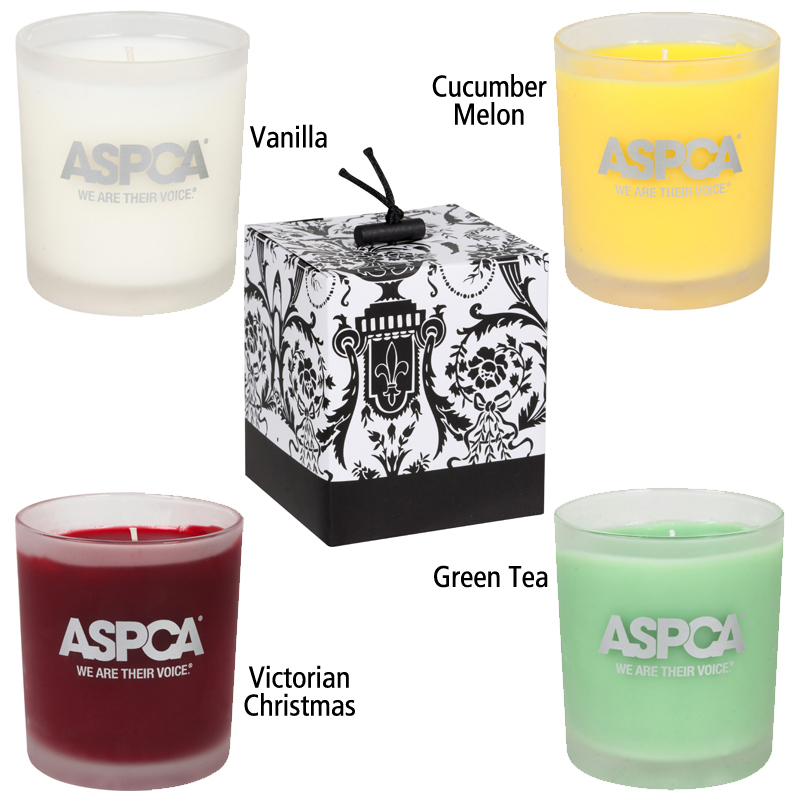 All have great throw and strong, realistic scent. For the holidays candles as a gift might be cliche but there's a reason for that- most of us love them. One of my best friends recently told me that's what to get her husband. He loves them when he is winding down after work and catching up in the office. Slakin makes some of the best holiday candles and this year the selection is large. I am one of those who loves the smell of pine and Christmas tree pure and fresh. So I am partial right now to Evergreen and Frosted Tree. Both get the smell right , Frosted Tree has a few more notes than" tree", including a hint of rosemary. Evergreen is more straightforward. Both are perfect. 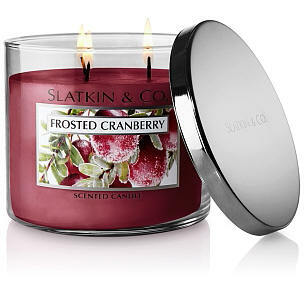 Frosted Cranberry is an old and longtime favorite. It's sweet and tangy and has some peach and strawberry in there as well. Hit up your local Bath and Body Works for these to make last minute gift giving easy. There are several sizes and the larger ones are triple wick. Pearls are almost always perfect. But these days I think many of us ( myself included) are not into wearing that basic traditional single strand. I adore pearls though and have many both real and fake. They get pulled out to look extra dressy or to dress up any outfit depending on the piece. A find last year was Majorica, these are what I call Modern Pearls. Majorica pearls are man made , not cultured , but they look very good. Done in gold vermeil or silver there are many styles , few of which are stuffy. 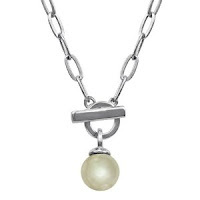 Mine is a gunmetal grey large pearl on a multi sterling strand. It's casual but dressy and goes with pretty much everything. 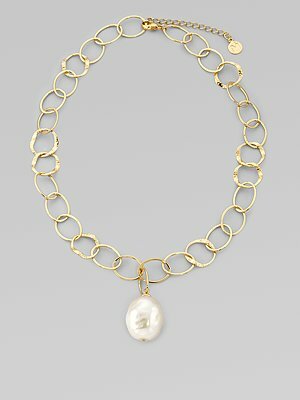 There are rings, bracelets and necklaces and most fall in the under $165.00 range unless you go really big. 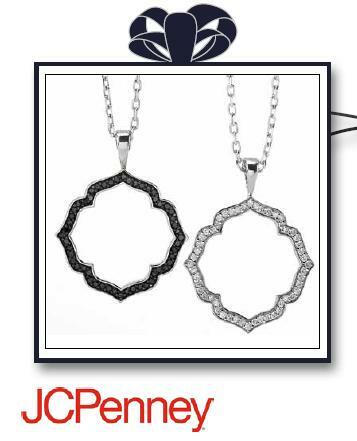 My necklace shown first image was $ 125.00 I believe. You can find Majorica at Nordstrom, Saks , Bloomingdales , Macys and more. I love Paint Pots and I bet you do too. 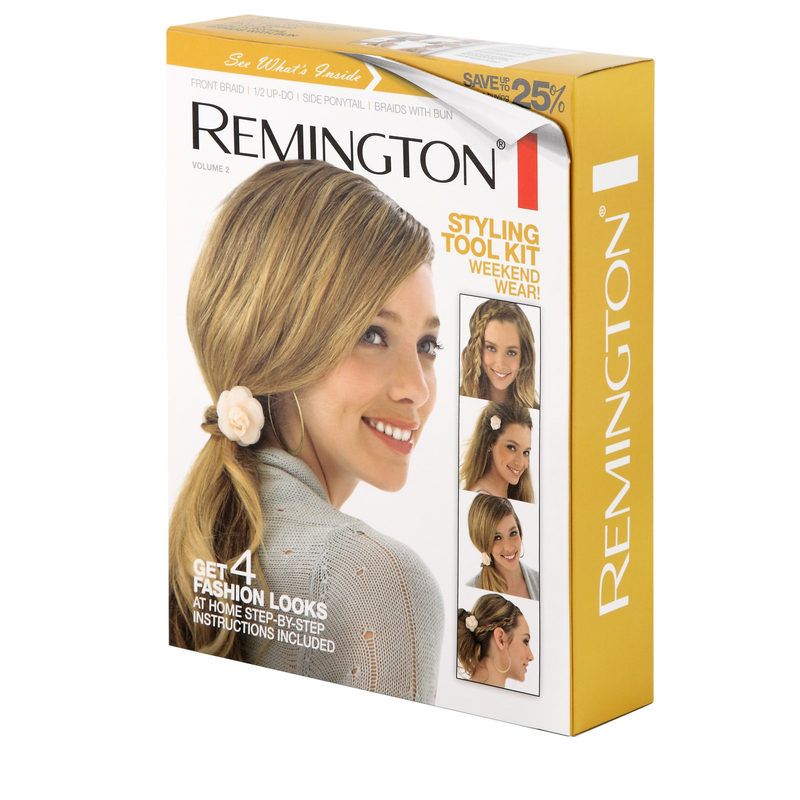 One of the easiest products to use ever, with lasting , high pigment color. What's not to love ? We haven't seen any new ones for some time but with the release of the Champale collection we get 4 new ones. Personally I cannot wait to see the Champale line . It's me, me, me and I think I am going to love it. How about you ? Feeling Champale or not ? On counter Dec. 26, just in time for gift card spending. I'm happy to share that Bond No. 9, has a new blog for Bond No 9 Fans. Edited by my friend Raphaella, who is not simply a Bond No 9 fan but a true perfumista with a vast and amazing perfume collection. Good luck Raph. Here's what she wrote me about the new blog. Please visit and take a look. "The new Bond No. 9 Blog is up and running and will be featuring fragrance reviews, reviews from guests writers, interviews with Bond No. 9 Perfumers and interesting articles surrounding Bond. No 9." "Visit the new Bond No 9 Blog and enter to win! 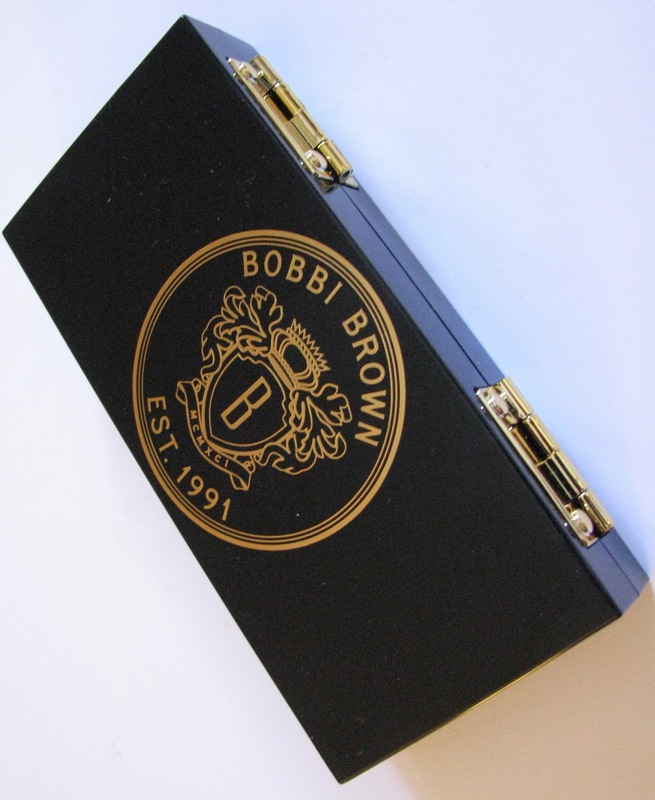 Please leave a comment in any comment box and you will be entered to win a fabulous “Gift Bag of Bond No. 9 candy samples”. A random drawing from the comments will be held periodically and the winner will be announced on the blog. 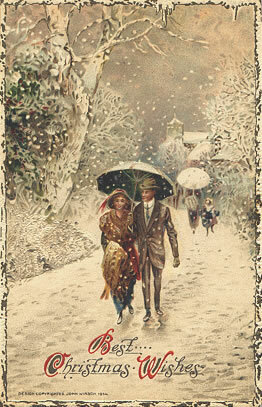 You can also view the newest 2010 Holiday Gift Collection on the Bond No. 9 Blog. Visit Bond No. 9 blog at http://blog.bondno9.com/ and the Bond No. 9 website http://www.bondno9.com/ "
The holidays often bring fragrance shopping for the men as well as the ladies. While looking around the Chanel site awhile back I was thrilled to see the the new Bleu de Chanel came in a After Shave. Many of the men I know ( and my usual testers) like using after shave and some prefer it over cologne. The hard part is that few high end brands do after shave. Enter Chanel, and that's a great place to start. ( Hey, men need Chanel too, right ? and it gives us one more excuse to go to the counter). 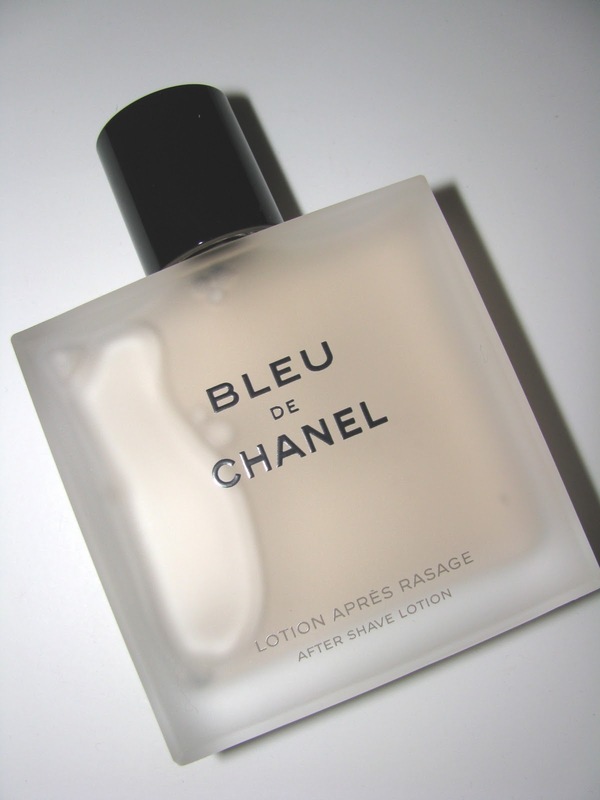 Bleu de Chanel is called an after shave lotion, but it's a normal splash type, not any kind of balm. It's is light but has just enough scent and is very fresh and masculine with a good bit of citrus, vetiver and cedar to my nose. The Chanel quality of ingredients is very present . It quiets on skin about halfway to the drydown, but retains enough scent to be "there" and just right. My tester really liked it. It's not an earthshatteringly different scent , but one that will be new yet in the realm of comfortable familiarity. The 100 ml aftershave lotion is $50 . Two sizes of EDT are also available. 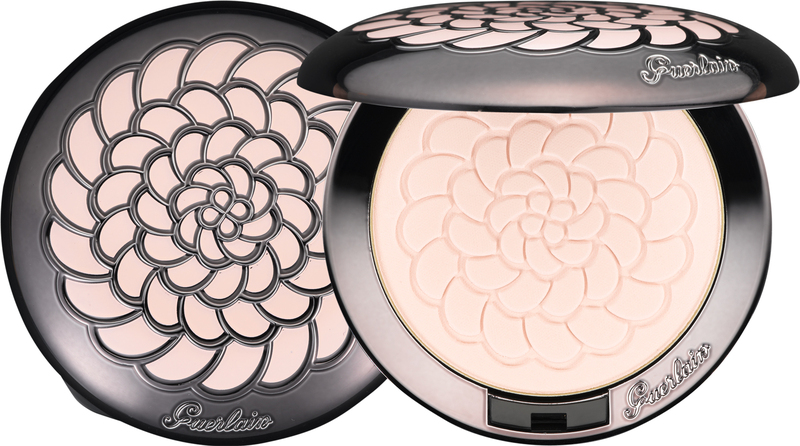 Guerlain Spring will be on counter in January. 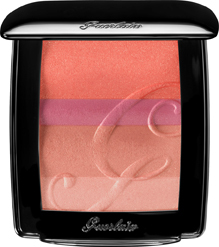 Called Sur Mes Levres the highlight to me eye is this gorgeous Blush G. The new Rouge G colors are a bit bold for me, but I adore the Rouge G in general , so have no doubt these will be beautiful . Super funny video from one of my fav people- Robert Verdi. While you're laughing you 'll also get a look at his holiday gift guide and his celeb inspired gift ideas. I am partial especially to the Cindy Crawford One Kiss Diamond jewelry( because we should all be partial to diamonds). He shows the earrings in the video, also available is this cute necklace in color enhanced black or white diamonds . Next favorite is the FujiFilm Instax camera. I have one of these and I can tell you it's FUN. For those who remember Polaroids, it's blast from the past you will enjoy , and for those who don't, it will be a cool discovery. In time for stocking stuffing, Secret Deodarant has brought out new body sprays —Secret Scent Expressions Body Splash and Fresh Effects Body Mist. The fragrance choices also happen to coordinate with matching deodarants. Scents choices are : Secret Scent Expressions Body Splash in in So Very Summerberry, Cocoa Butter Kiss, and Ooh la la Lavender, while Secret Fresh Effects Body Mist is available in Fresh Water Orchid and Cucumber Aloe scents. 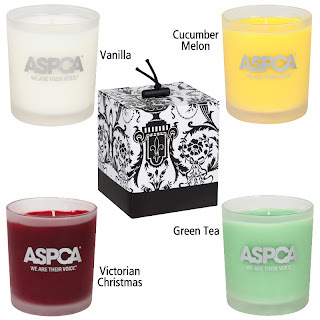 I've had a chance to try 3 of the new scents, and I have to say I was pleasantly surprised. Some of the mass market body sprays I've tried have been, well frankly, awful. These were far from it . I particularly liked the Cocoa Butter Kiss Scent Expression. It has that summer coconutty suntan oil smell . Fresh Water Orchid in the Fresh Effects line is a very soft floral and a little aquatic. It has a bit of an almost peony smell to me. All are available at all mass market outlets and would be especially nice for the young teens and tweens who are interested in scent but who might not be ready ( or their parents aren't) for the high end market. 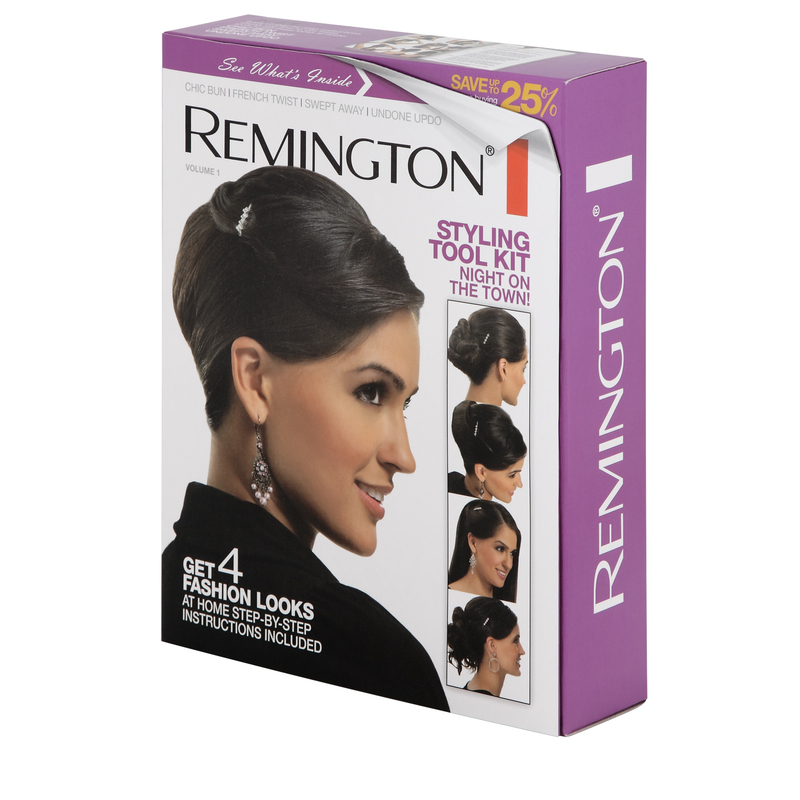 Remington has two hair tool sets that will you get all through the holidays looking good or make a great last minute gift choice. Who doesn't love new hair tools? Both sets – Night on the Town and Weekend Wear – include combs, accessories, a mini straightener or curling iron, plus a detailed step-by-step guide for getting the look. The sets are $ 19.99 each and available at WalMart. Land's End Canvas is newer line from Land's End. A little more fashionable but still great quality. Thanks to Lucky magazines's Alpha Shoppers, I got to try some pieces. I'ds had my eye on the site for awhile, so I was thrilled. I chose this hooded cardigan. I am a cardigan nut and it looked great. The thing I love about this sweater is that it’s great loungewear as well as realwear. It’s pretty but easy. It can be styled up or down . I have been loving just throwing it on over a lightweight top while hanging at home, surfing the net and getting Christmas decorations up. High points are the ¾ sleeves. Cannot say how much I love that as I have short arms and hate super long sleeves and the hood- so fun and a great touch. It's very soft and has a touch of alpaca and wool as well as poly . A nice touch- a handwritten thank you note came after the order. That's the kind of customer service you don't see anymore. Information on Chanel Spring 2011 just hit my desk. Here's a quick look at a few of the new products including two limited editions. 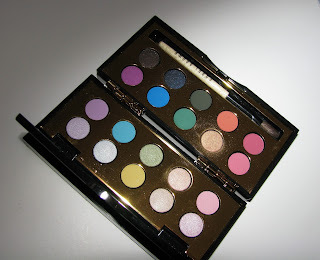 I am all over this new eye palette and I bet you will be too. Hopefully I can get some up close images soon. Called Les Perles de Chanel , and created to bring " a delicate luminosity to the skin" , the collection is on counter in January. 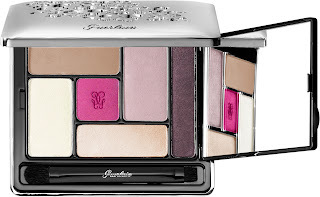 Ombres Perlees de Chanel Eyeshadow Palette - This palette of five luminous and intense shades flatters eyes in every light with the luster of the finest pearls. The ultra-refined powder formula resists creasing, and unique, custom applicators provide precise delivery of colour and seamless blending. Le Vernis nail shades are Pearl Drop ( white), Peche Nacree( peach) and Black Pearl ( black). 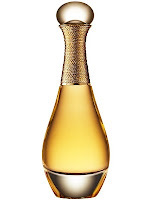 Heavenly Stardust is a new LE, thru December, addition to the Victoria's Secret Heavenly line . The new scent comes in a very pretty bottle and is berry infused with light florals and a soft musky- amber drydown. It's a lighter scent , not overpowering and the berry notes stay into the drydown. The musk isn't heavy here and to me that's a plus. A bit different from the original Heavenly and possibly great gift for the Victoria's Secret fan on your gift list . Bottom: Liquid Amber, Caramel, Touch of Praline, Sensual Woods, Liquid Musk. Heavenly Stardust is available in EDP , Sheer Fragrance Mist and Shimmering Body Lotion. Lucky has asked the Alpha Shoppers to give the site Swimspot.com a run through. Not shopping for real, but a search and find to see what we think. Personally I had never heard of the site before and like most of you , am not keen on bathing suit shopping online. But… they make it so easy with free shipping BOTH ways. So no commitment. I loved the selection of one pieces and some go up to a size 16. There is also a bikini builder section where you mix and match tops. So if you like 2 different ones or are different sizes, top and bottom, this works. It’s a good site and the only thing I would like to see if is a search by size option. They do offer Fit Specialist where you can have the help via phone or email to get the perfect suggestions for your body type. My fav suit- this one shouldered St. John . It’s so chic , and the ruching slims and sleeks. It’s a bathing suit but a fashion item as well. Now I know it's very much winter in most places and bathing suits seem far off,. but if you are heading on a cruise or the Caribbean , well swimwear can be harder to find this time of year . SwimSpot may be just what you need. 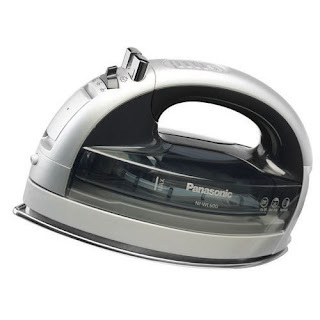 Last fashion week back in September, one of the featured items at Robert Verdi's editor's lounge was this new Panasonic Iron. My first thought- an iron? Not really feeling it, sorry. But since I was there and it was only polite, I took a look and a demo. Here's the thing- this iron was a wow. I was amazed at how sleeklyand smooth it went over fabric. It took no effort and basically glided itself. 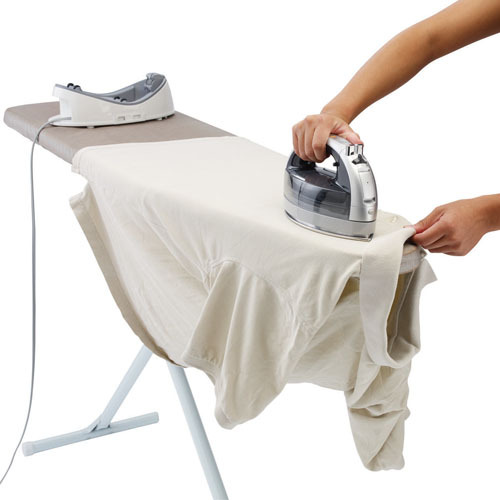 Suddenly talking about an iron didn't seem so odd . After all we all need one at some time (and I do avoid it as much as possible). It even has it's own carrying case and is cordless, therefore portable. So if you are in the market for a new iron, take a look yourself. Maybe you'll be surprised too. The Panasonic 360° Freestyle Cordless Iron delivers smooth ironing. Like the palm of your hand. It is small, fast, light and convenient. Suggested retail is $ 99.99 .